Labour Candidate, Neil Hopkins, is inviting you to attend a Public Meeting on the future of Lydiard after the Council scrap the Lydiard Heritage Trust deal. A public meeting on the future of Lydiard which will be crucial to making sure the Council knows the strength of feeling amongst residents about the future running of Lydiard, and will allow the Council and Lydiard Park Heritage Trust to explain their positions to residents. The meeting is at 2pm at the Lydiard Park Academy Sports Hall on Sunday 11th March. Location map below. The Lydiard Park Heritage Trust is a local community organisation who had been agreed on by Swindon Council to take over the running of Lydiard. This decision was taken after Lydiard & Freshbrook Labour Councillor, Matthew Courtliff, persuaded Swindon Council to choose a community trust to manage Lydiard for the g ood of the community rather than a private company looking for profit. Although the Tory administration has said that the Council will continue to run Lydiard for the time being, the Conservative Council has previously expressed an interest in transferring Lydiard to the private sector and have hived off Swindon Borough Council’s leisure centres and golf courses. Any promise not to sell Lydiard does not rule out their usual route of long leases and removal of publicly accountable control. 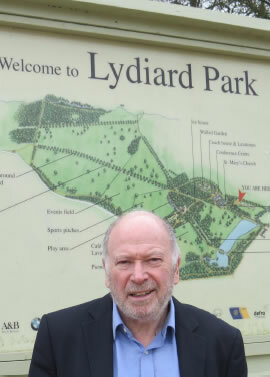 Labour have committed to keeping Lydiard House & Park in public control and were not approached by the Conservatives to discuss a joint approach before their West Swindon councillors leaflets trying to avoid responsibility for their failure to secure Lydiard’s future. The meeting is at 2pm at the Lydiard Park Academy Sports Hall on Sunday 11th March.